Ukraine is on Monday to start the receiving Russian gas that it paid Russia for in advance on Friday, the Ministry of Energy and Coal Industry Volodymyr Demchyshyn has said on Ukrainian television’s news program TSN.Week. 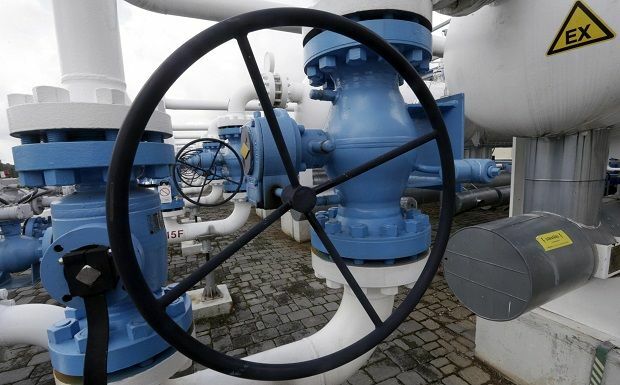 "Ukrainian state gas company Naftogaz Ukrainy said on Friday that it had transferred to Russian gas company Gazprom about $378 million for 1 billion cubic meters of natural gas," he said on Sunday. "Ukraine daily uses more than 200 million cubic meters of gas, 35 billion of which is produced in Ukraine, another 120 billion of which is pumped from storage facilities, and the rest of which is purchased," he said. As it was reported earlier, the head of the Russian gas holding company Alexei Miller said that Gazprom could start gas supplies to Ukraine within 48 hours after receiving advance payments.